Hot Tub sign is made from wood and hand painted with exterior paint. 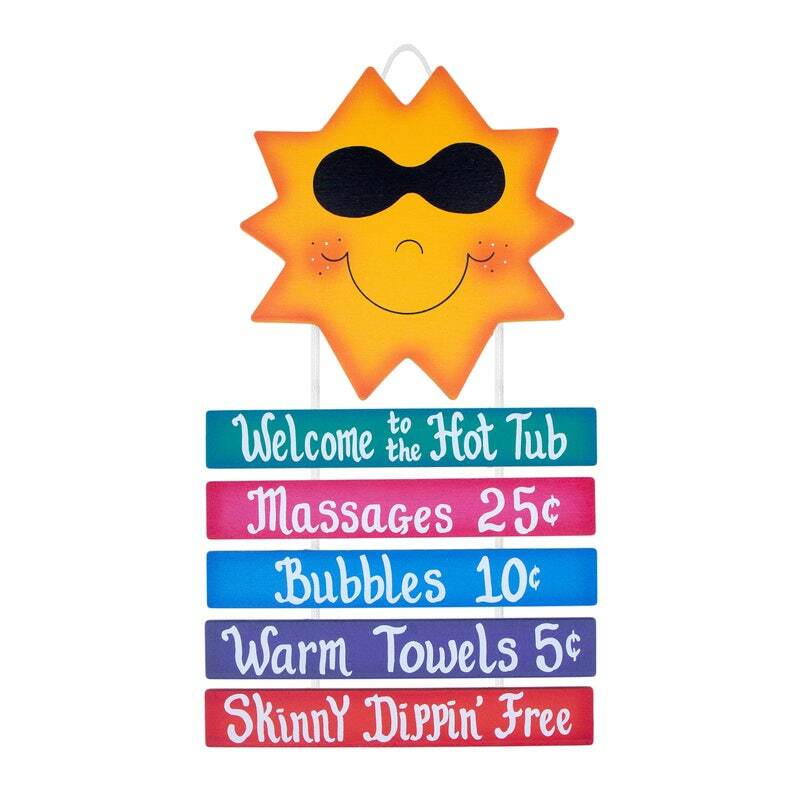 Hot Tub sign is very colorful, as well as durable and long lasting. The edges of the Hot Tub sign, are shaded to create a unique look. Wood signs are attached to each other on the back side with a durable, white nylon rope.